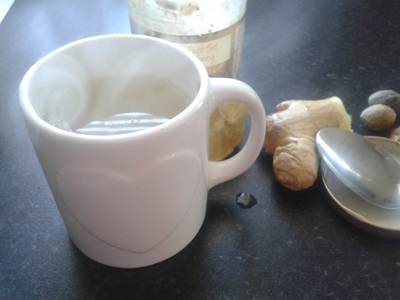 Honey is a natural antiseptic and provides much-needed sweetness when you've a brew of ginger and lemon tonic. Nutmeg adds flavour and makes it less bitter. 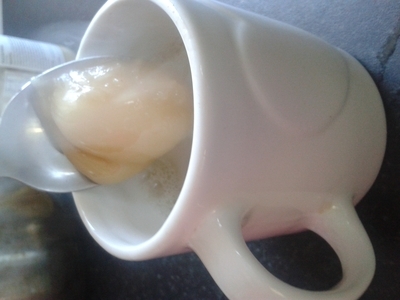 The natural antibacterial properties of lemon and ginger make for a powerful tonic, which are fantastic for the immune system, and naturally helps to clean out the system. 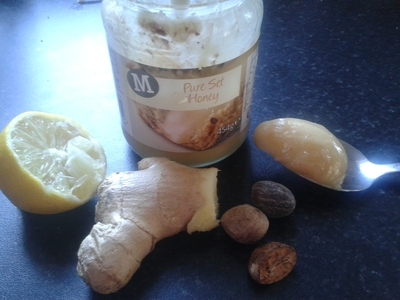 Ginger helps encourage the production of platelets (which help form a scab), so it is a natural healer. In short, serve your son or daughter a mug of this and you'll be giving them a fighting chance at beating the common cold. 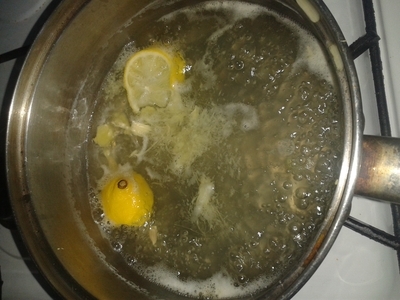 Slice the lemon in quarters and add to a saucepan of boiling water. 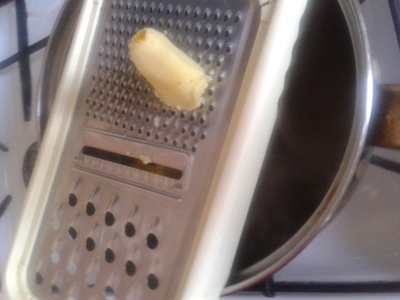 Grate in the nutmeg and ginger. Simmer for at least 10 minutes.